Funds For Gretel is a wee fund raising campaign set up by the wonderfully kind hearted Donna Flower, with the help of Amanda Banham and Woo Gilchrist, in a bid to help out a member of our creative community in her time of need. That lady is Gretel Parker, a truly talented toy maker, needle felter and children's illustrator. Earlier this year Gretel lost her husband when he took his own life, if you wish to you can read their story here. Until Gretel is able to adapt to her new way of life without her husband and build up her business into a sustainable source of income again she is in real danger of losing her home too. That is why her friends have joined forces to help her out in her time of need. 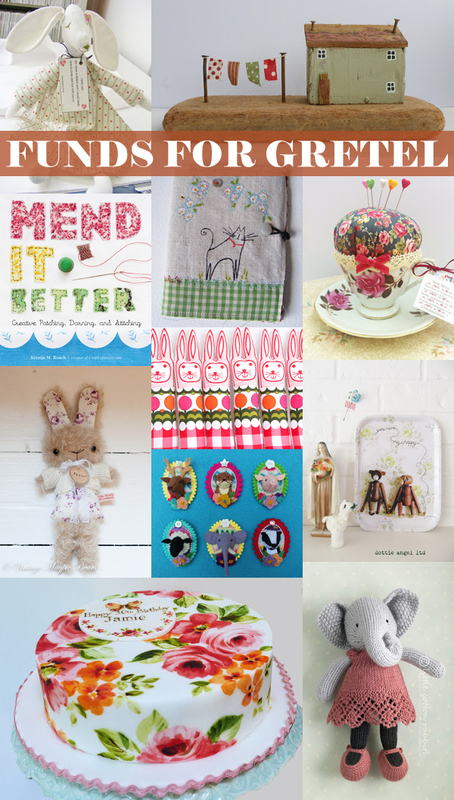 Donna, Amanda and Woo have set up a fabulous raffle with an amazing collection of prizes donated by some incredible crafters from our creative community, below you can see just a taste of what is on offer. To see what else is up for grabs hop on over to the Funds For Gretel blog for a full list as well as details of the grand prize! I have also added a wee prize to the pot and am offering a customised Forever Flower Garland, so the lucky winner will get to choose their favourite colours and I will crochet a one of a kind garland just for them! From the Indiegogo donation page, click the 'Contribute Now' button which will open a new page where you can choose how much you would like to donate, starting from just £1. For every £1 you choose to donate you will receive one entry into the raffle, so £5 gives you five entries and so on. If you choose to donate £10 or more you will be entered into the grand prize draw to win a week's accommodation in a holiday cottage in Suffolk, UK. See full details here. You have until Saturday 30 March, 11:59PM PT, to make a donation and be entered into the raffle. So far Funds For Gretel has raised over five times the target set and is already making a huge difference by helping Gretel to pick up the threads of her life in the most practical way, read about it here. Thank you for reading through to the end. I really admire people who are initiative, creative and do their best to help a friend in need. 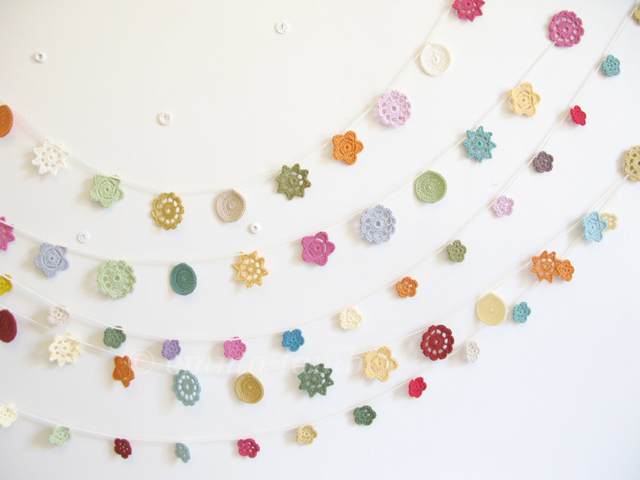 What a beautiful way to support a fellow crafter. Thank you Emma for shearing this!